Stereolithography was the first Rapid Prototyping System to become commercially available in 1988. 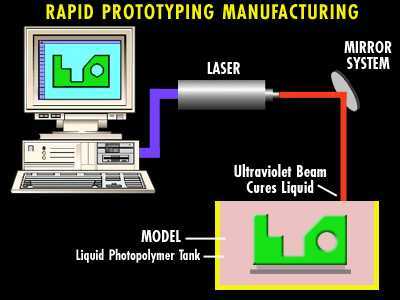 The process utilizes an ultra-violet laser to cure a photosensitive polymer in thin layers to produce a prototype part. Stereolithography apparatus (SLA) from small to quite large is available from 3D Systems of California.